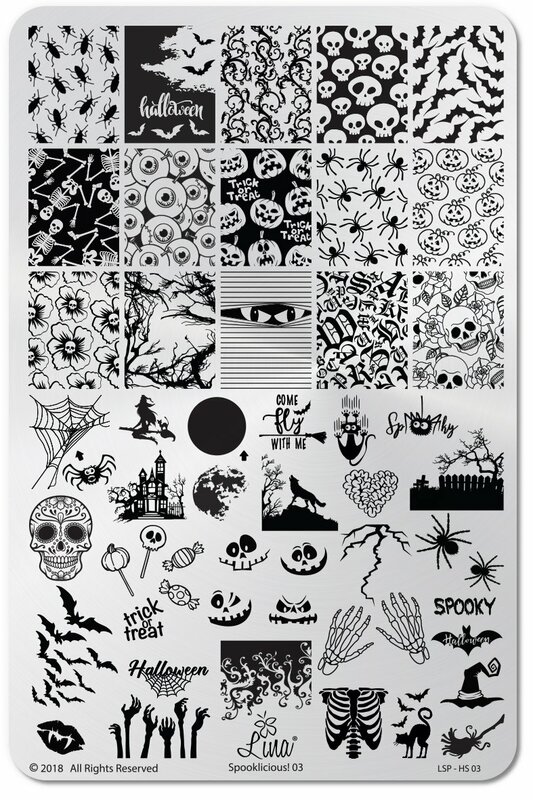 Today I have this year's Spooklicious stamping plate from Lina Nail Art Supplies to share with you. Yes I know that in a few weeks time it will be Christmas, and yes I am aware that Halloween has come and gone but it's better late than never right? In all honesty, I have gone back and forth about whether I should share this plate or hold off until Halloween next year. One of my "New Years Resolutions" was to swatch everything that I purchase throughout this year so that is what I am doing. Let's take a look at Spooklicious 03. This first mani is one that I did not long after getting this plate in the mail. 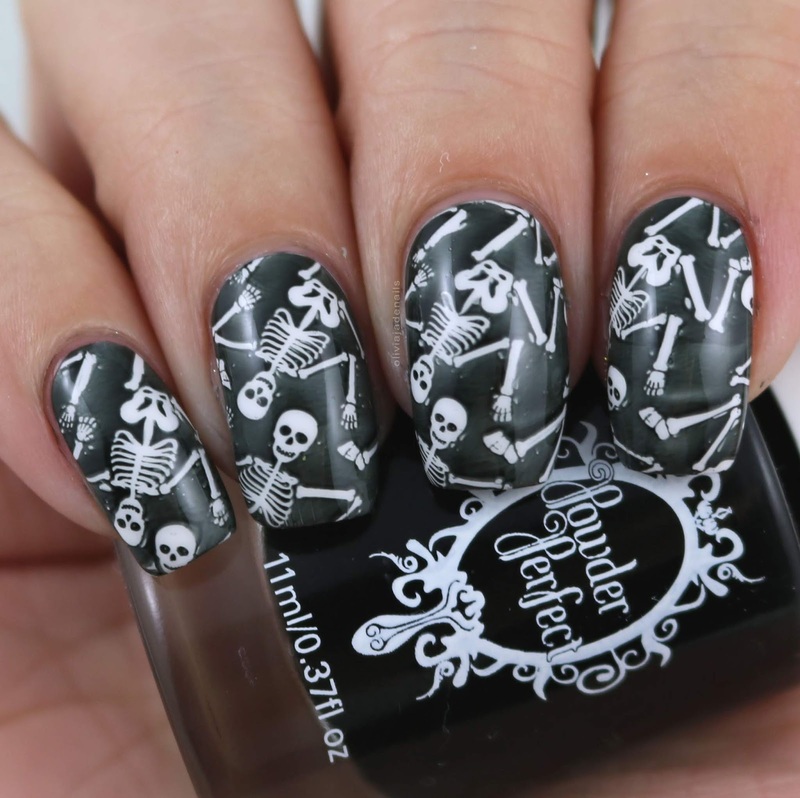 In fact, it's the mani I wore for Halloween. I apparently just never got around to sharing it anywhere. I think that the skeleton image is kinda cute, however my plate isn't etched properly so I had quite some difficulty getting the image to pick up and transfer properly. This is something I have mentioned in some previous reviews of Lina's plates - the quality is a bit hit and miss which is quite frustrating. This next mani is by far my favourite mani that I have done using this plate. For my base I used Emily de Molly Monty Cora, the textured stamping is done using Lina Nail Art Supplies Make Your Mark 03 and stamped using Hit The Bottle Looking For Mr Grey. 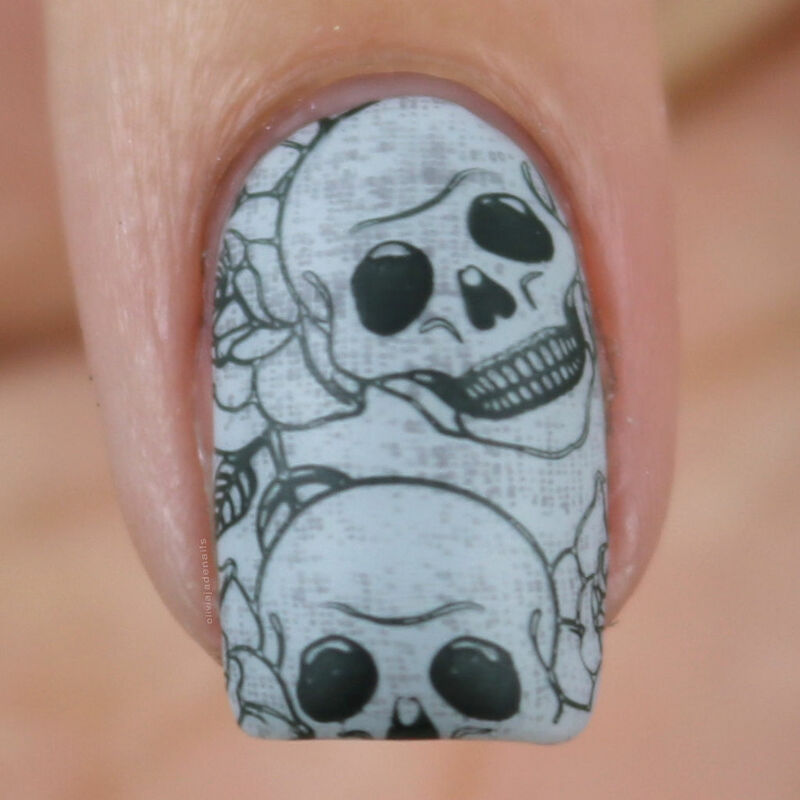 The skull image (which is from the Spooklicious plate) is stamped using Powder Perfect's Black Stamping Polish. I'm a really big fan of this plate and I'm honestly kicking myself that I didn't use it more when it was Halloween. Especially that layered moon image! That looks so cool. 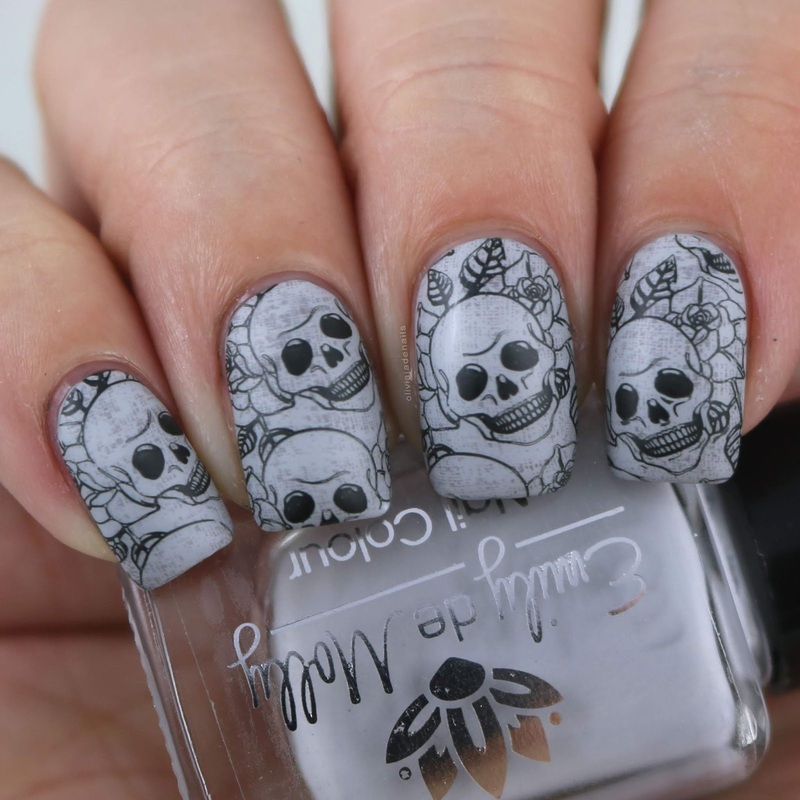 I have also seen a heap of really awesome manis using this plate which I will have to draw some inspiration from next year. I'll definitely be breaking out this plate again. 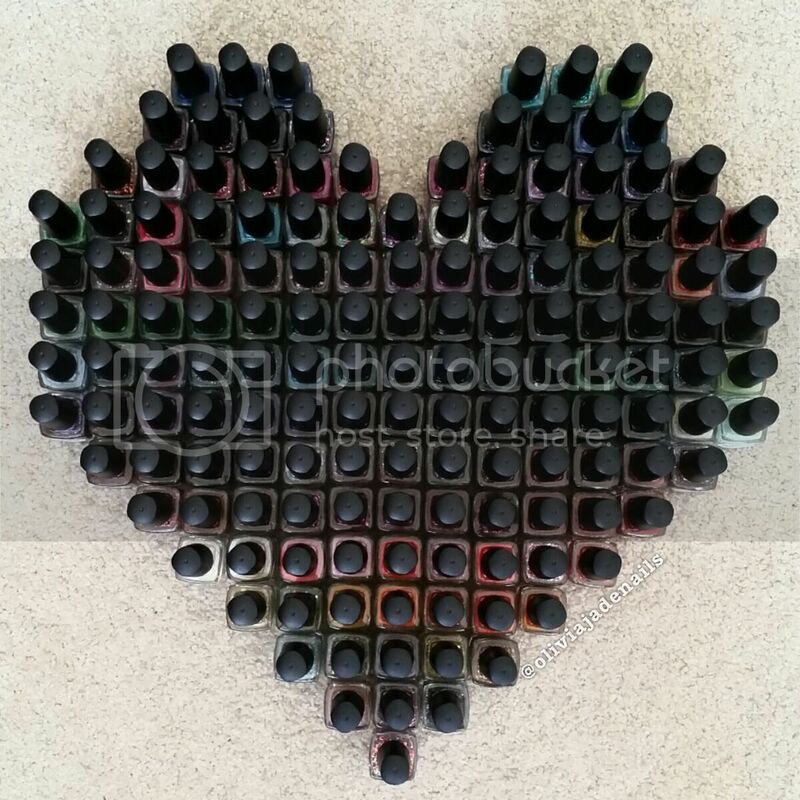 Oh wow I love the last mani! It's got an awesome grunge look to it. I was tempted to get this plate... Especially for the layerable images, but boy oh boy I have too many pumpkin and bat and skull images.